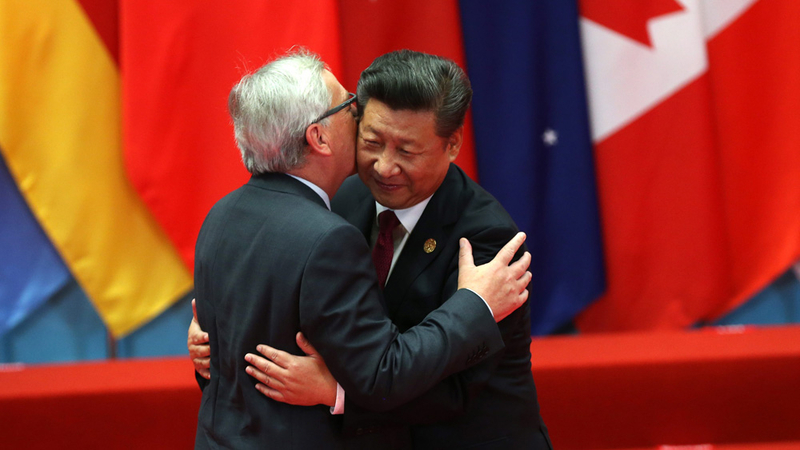 DIPLOMATIC TIES: President Xi Jinping (R) welcomes EU Commission President Jean-Claude Juncker (L) for the G20 Summit in Hangzhou, China, 04 September 2016. In the case of the EU’s efforts to undertake a so-called “Pivot to Asia”, The bear and the EU-China-US triangle: Transatlantic and Russian influences on EU’s “pivot to Asia” argues two interrelated points. Firstly, that European policies towards China are shaped not only by the particularities of the European context and the feedback from China through bilateral ties, but that the USA is playing an active and considerable role adding a triangular factor to the EU’s responses to the main geopolitical development of this century; the rise of China. Analysing a wide range of academic and policy documents, European debates on how to handle this transatlantic factor in European Asia policies, 4 main policy prescriptions are identified: co-operation, co-ordination, competition and conflict. Each of these four main strands of thought envisions a different place for the transatlantic alliance in the future direction of EU’s policy towards China and East Asia. Secondly, in acknowledging the triangular aspect of EU’s relations to China, it follows that one ought to pay particular attention to factors that affect all of the three corners of this triangular structure. The main such factor is currently Russia, which is increasingly, and along various theatres, having an impact on the policies of both the EU, the USA and China. 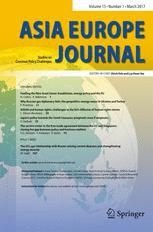 Investigating as a test case how Kremlin’s increasingly assertive policies under Vladimir Putin affect the triangular relationship EU-China- USA, the article demonstrates how Russia directly and indirectly have impacted the EU’s capabilities and motivations with regards to their stated diplomatic offensive towards China and Asia at large.